The American Platinum Eagle 1/2 oz followed in the steps of the successful American Gold Eagle the US Mint decided a significant platinum bullion coin was needed in the world market. In 1996 Congress authorized the popular American Platinum Eagle Series each with a legal tender value: 1/10 oz ($10) ¼ oz ($25) ½ oz ($50) and 1 oz ($100). 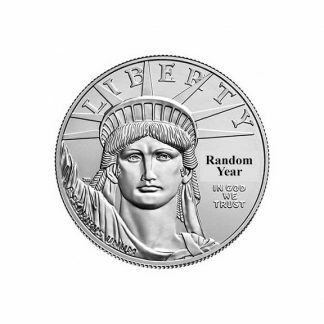 The American Platinum Eagle 1/2 oz is a popular smaller unit choice with investors because it is versatile and appeals to a wider buying audience. 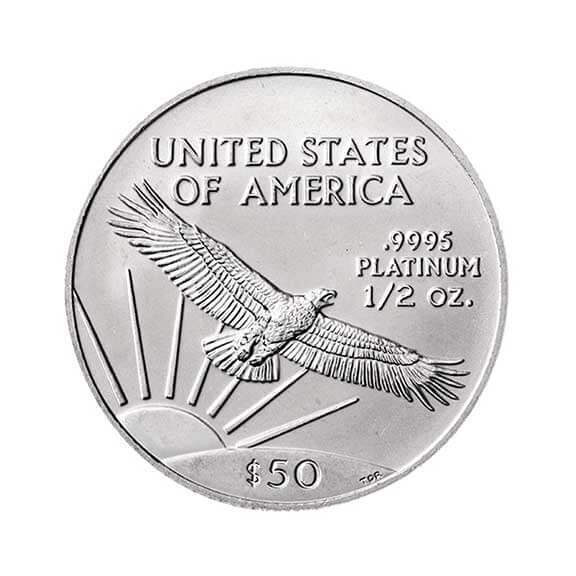 The daily value of the American Platinum Eagle 1/2 oz is determined by its content but its legal tender status ($50) is a plus in the world market because the coin is guaranteed by a sovereign country. 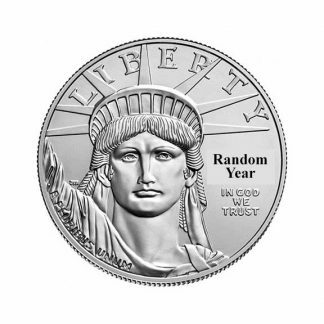 The American Platinum Eagle 1/2 oz was first released by the in 1997 and was produced each year through 2008. 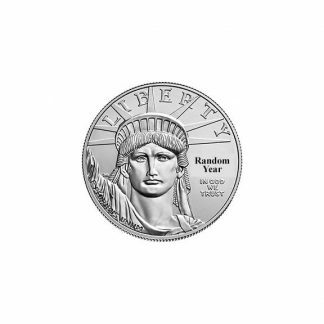 The total mintage for this regular production 1/2 oz platinum bullion coin in this 12 year period was 190,701. During this same time frame the US Mint also produced a series of special collector or proof coins which have the distinction of being the only US Mint issue in which the reverse of the coin changed each consecutive year. The regular production of the American Platinum Eagle 1/2 oz coin offers a number of advantages to the precious metal investor: (1) The American Platinum Eagle 1/2 oz is minted and guaranteed as to weight and purity by the US Mint. It is recognized and accepted as a world standard. 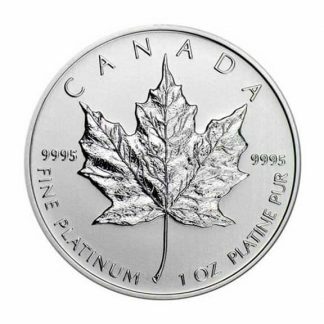 This allows dealers to post daily buy and sell prices on these beautiful ½ oz coins which follow the world price of platinum. 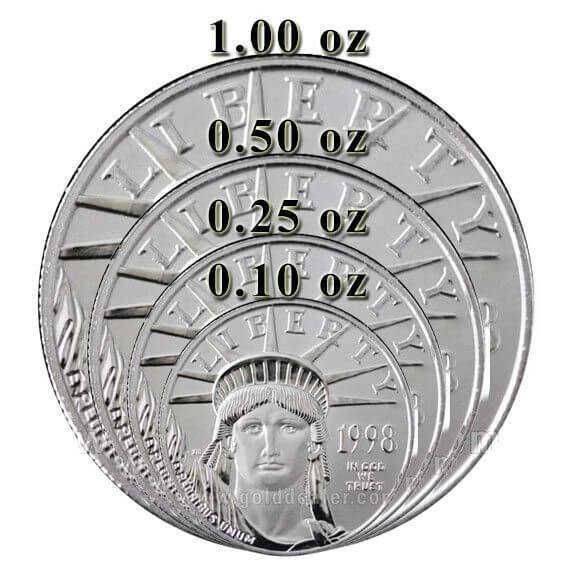 (2) The US Mint produced a significant number of these ½ oz coins because the premium over spot is low and attractive to those who only want a bullion investment. 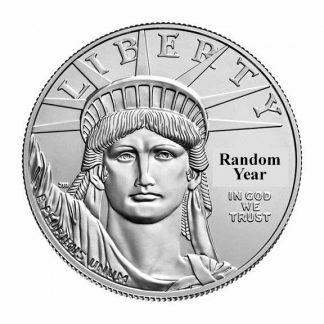 (3) The American Platinum Eagle ½ oz is a pure platinum coin with no alloy. This allows investors to diversify their precious metal holdings and figure total value easily. (4) The American Platinum Eagle Fractional Series is attractive to those people who believe the fiat paper money system could collapse. They are looking for a small barter coin which is recognized worldwide and might even become an effective default currency. 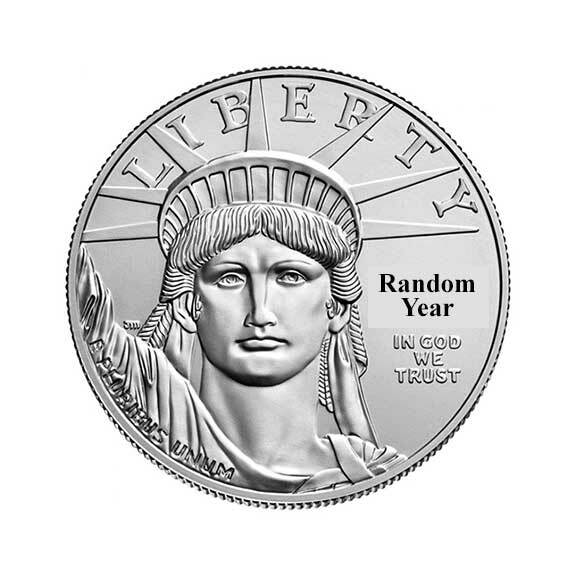 (5) The US Mint designed a hard plastic tube which holds 40 American Platinum Eagle 1/2 oz coins and snaps tightly shut so storage is easy and convenient. For larger investors the US Mint issued a virtually indestructible black composite box. This holds 15 tubes or 600 total coins making long term storage easy. 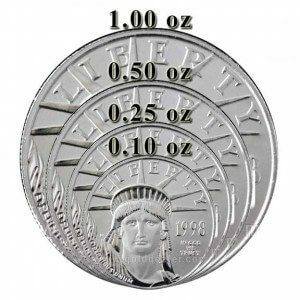 Finally there is no reporting requirement (Federal Form 1099B) when either buying or selling the American Platinum Eagle 1/2 oz so paperwork requirements are minimized.